My grandfather was a good man. He was also a wise man. He trained as an accountant and set up his own business in the City of London. 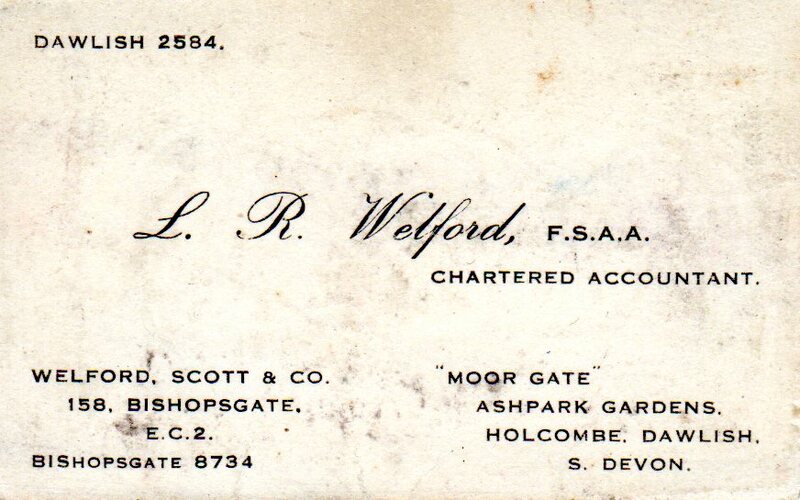 When my grandfather began auditing a new motor business he became such a valued friend of the founder that he gave him shares in the business. This business eventually became one of the largest Ford dealerships in South London. When my grandfather died in 1964 my grandmother was left in the position of never having any financial worries. 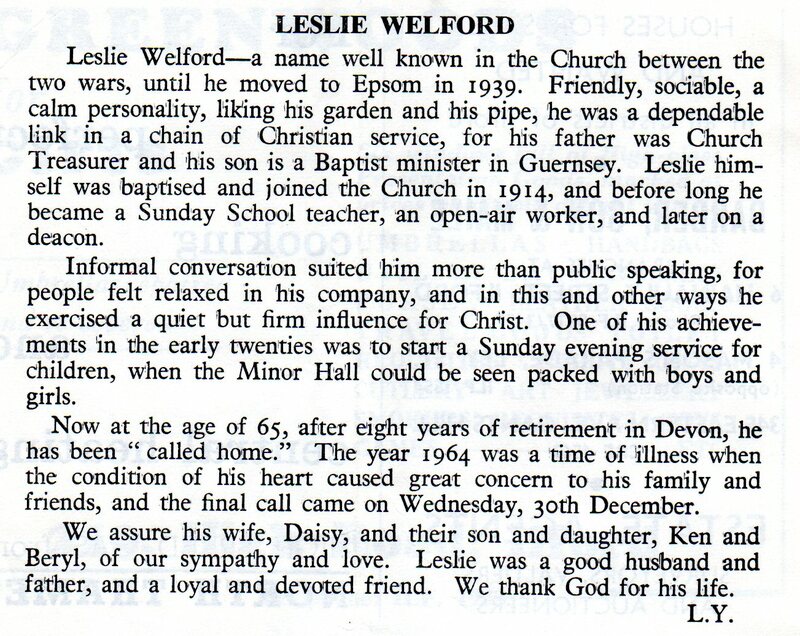 By this time my father was a Baptist pastor serving a circuit of four churches in Guernsey, and supporting a wife and two children. Two more children were added to the family in 1965 and 1967 and it was certainly a challenge for my father to support his family. My grandmother helped out financially from time to time ensuring that the inheritance left to her by my grandfather benefited her son and helped him to continue in ministry. When my grandmother died in 1983 the money she left helped provide for my parents and paved the way for a secure retirement that continues to today. That financial inheritance has also been used to help provide for me and my family, and my sisters and their families. My grandfather left more than a financial inheritance. He was more than a good man. He was a man of God. He invested in the spiritual welfare of his children. My father became a Baptist pastor and my aunt trained for the mission field, but served instead in her local church in many roles including youth leader and church secretary. The spiritual investment made by my grandfather was passed to me and to my sisters, and in turn from me to my children. That is an investment I can rejoice in. I rejoice in seeing my eldest son serving as a youth pastor, while my second son is leading a house group in our church. My third son is becoming increasingly involved in a student church where he lives and recently spoke in a service. My daughter and youngest son are active members of the youth group at our church. If only my grandfather could see the results of his wisest investment. This entry was posted on Wednesday, May 20th, 2015 at 6:00 am	and tagged with Inheritance, Legacy and posted in advice, Value and Worth. You can follow any responses to this entry through the RSS 2.0 feed.